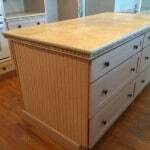 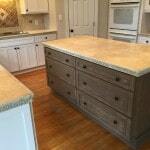 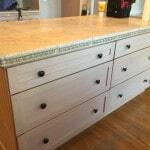 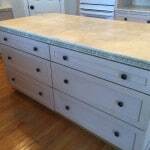 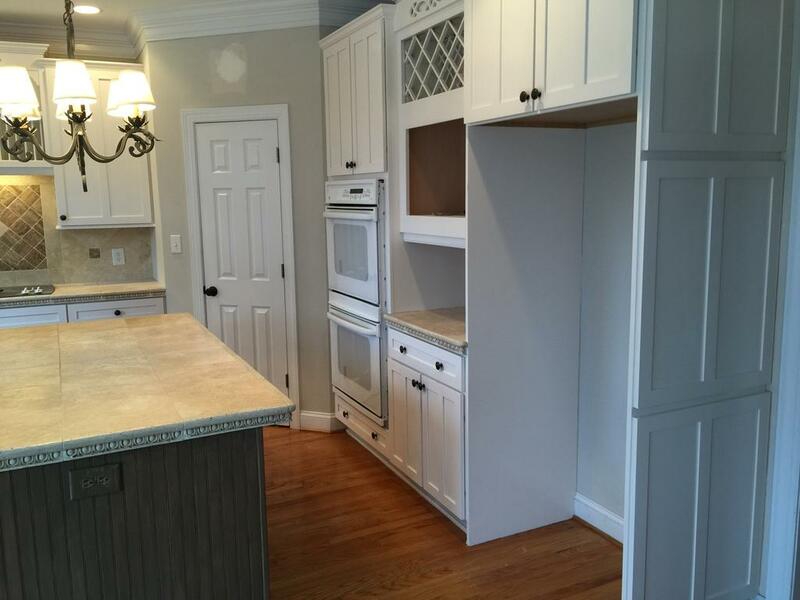 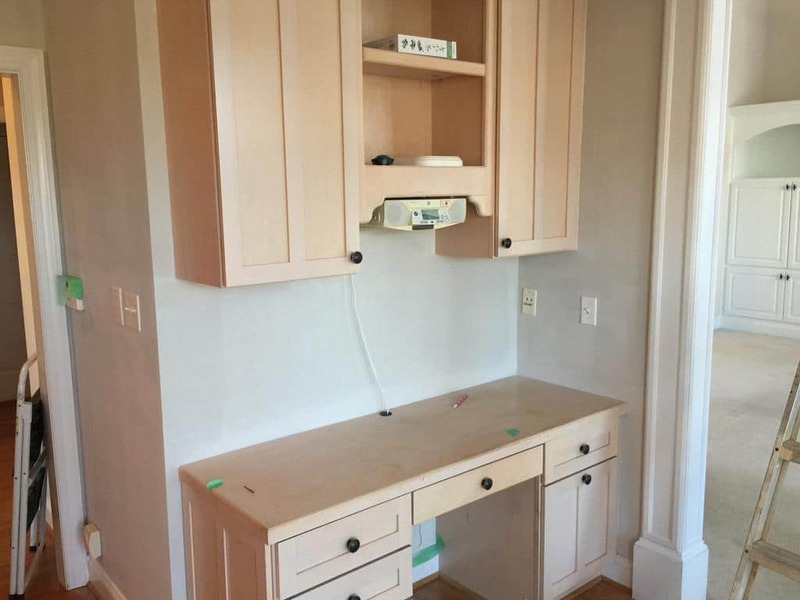 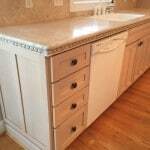 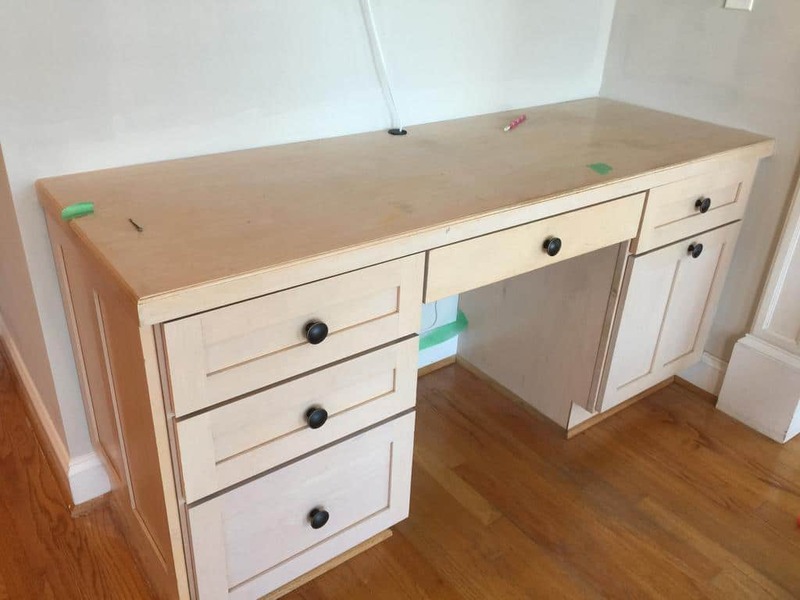 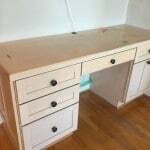 We started with a set of absolutely beautiful kitchen cabinets but they were, sadly, pickled. 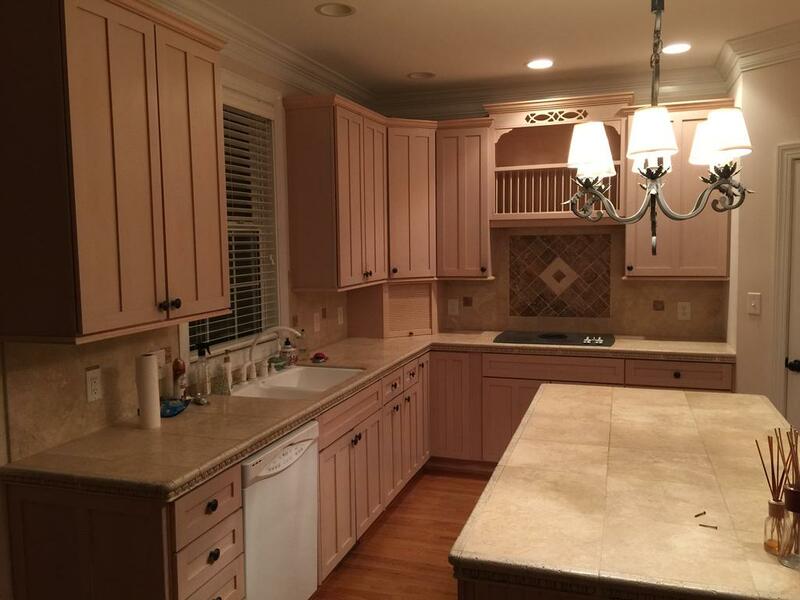 The pinkish tone of the pickling left them looking very dated. 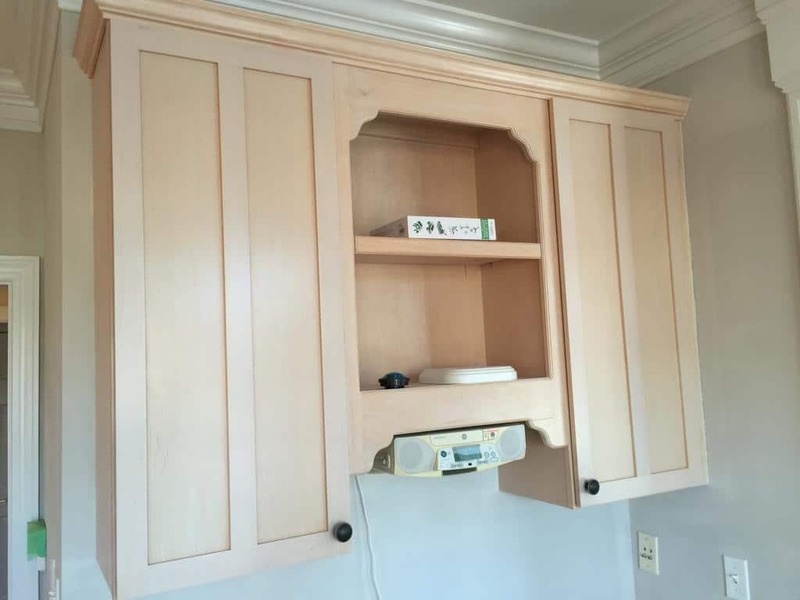 Or should I say, outdated? 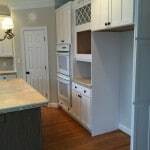 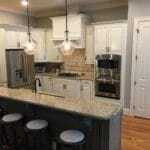 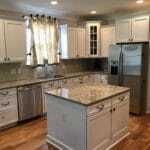 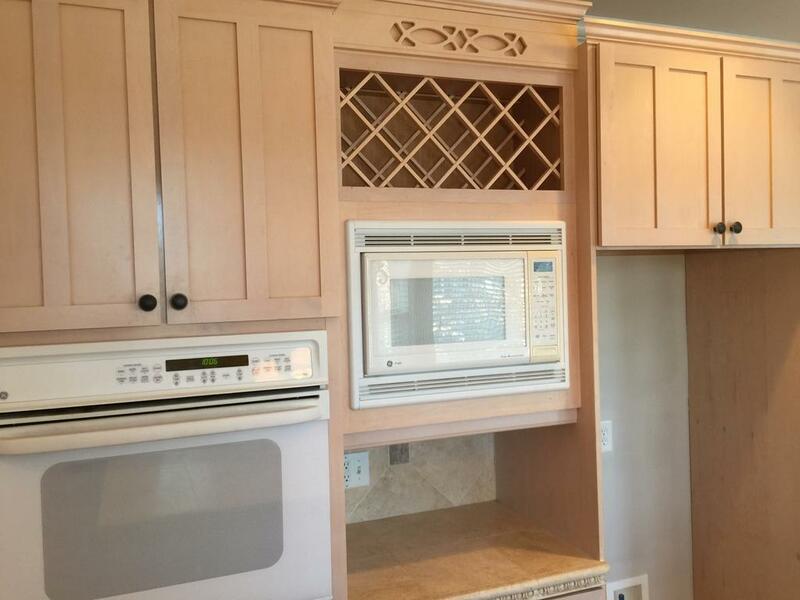 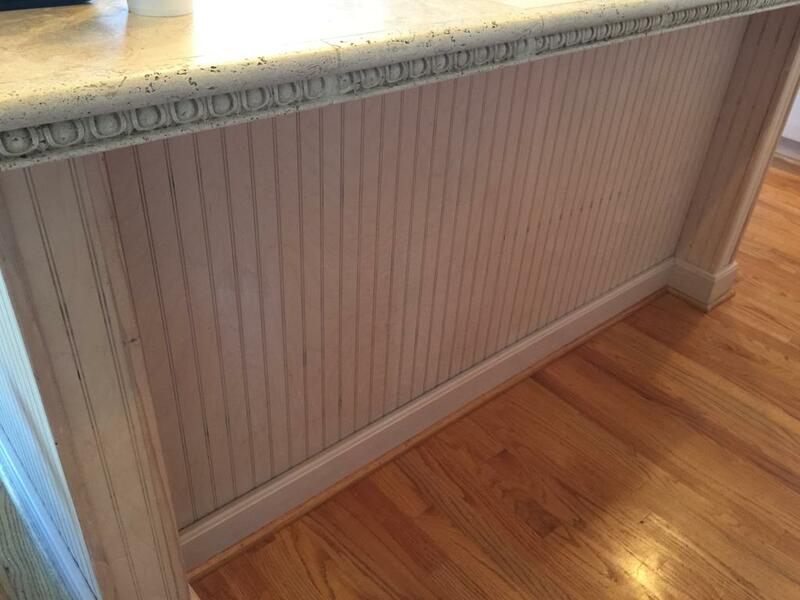 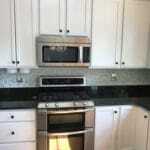 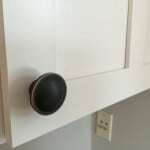 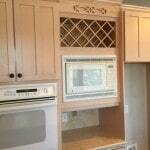 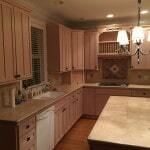 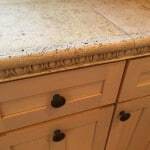 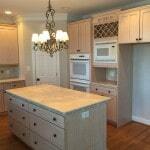 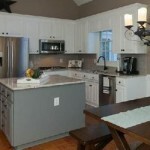 This home was having a little trouble being sold and the realtor knew that the kitchen was part of the problem. 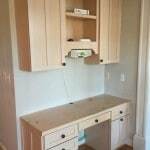 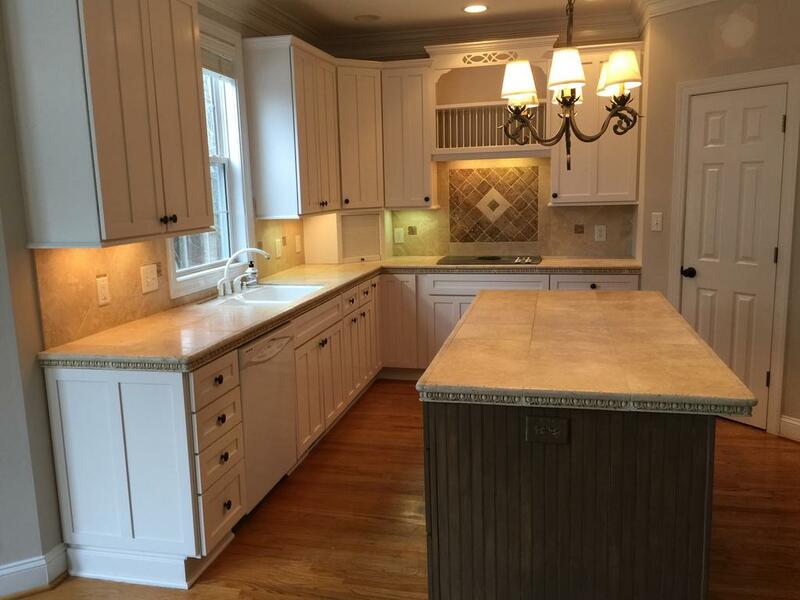 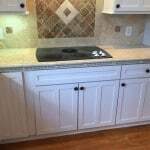 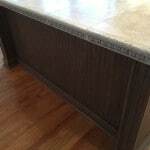 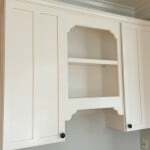 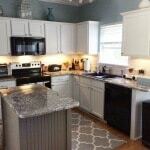 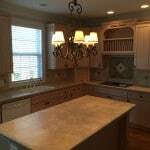 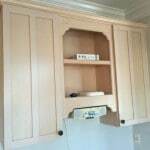 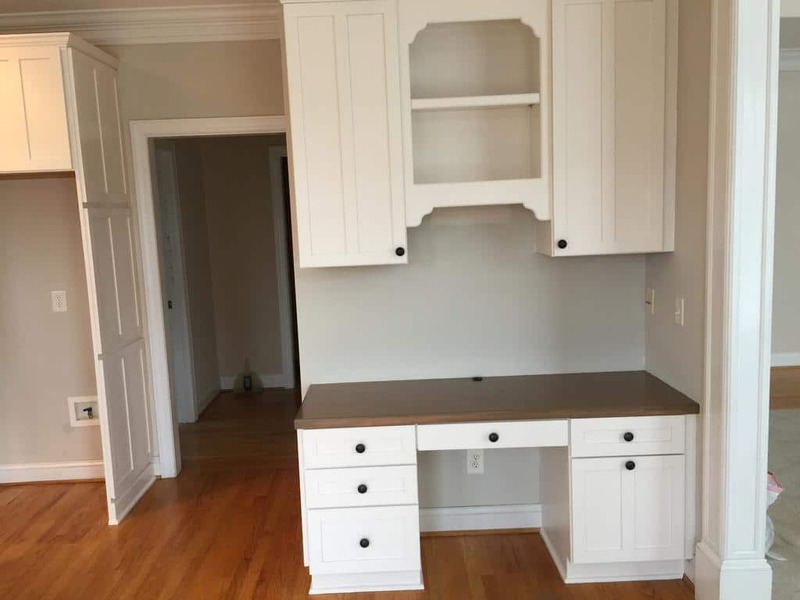 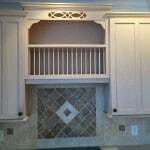 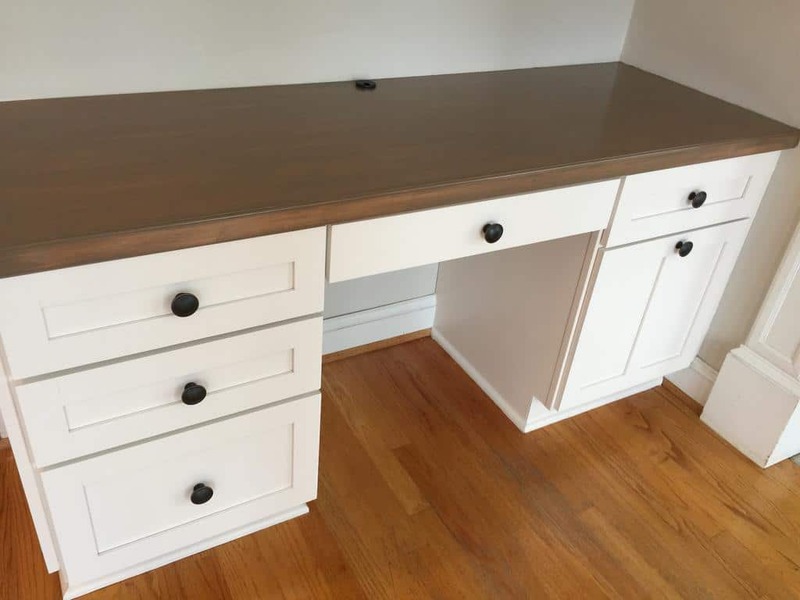 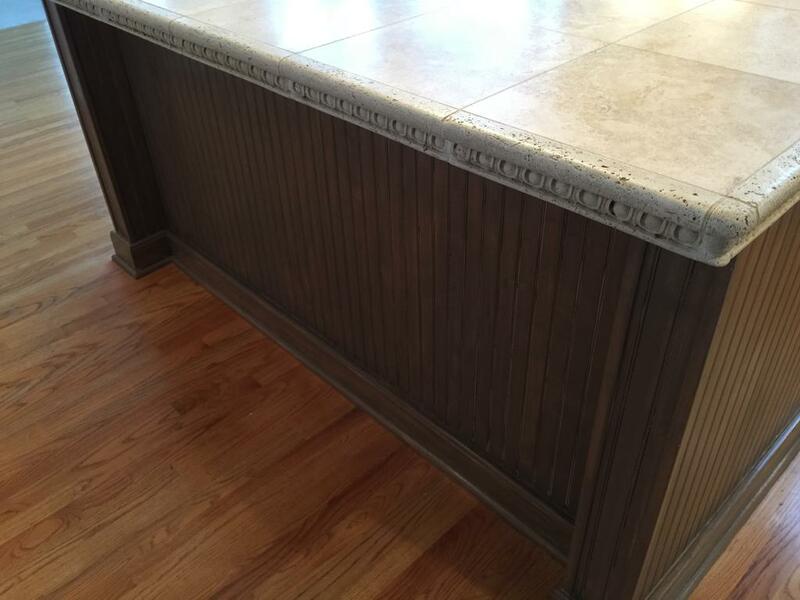 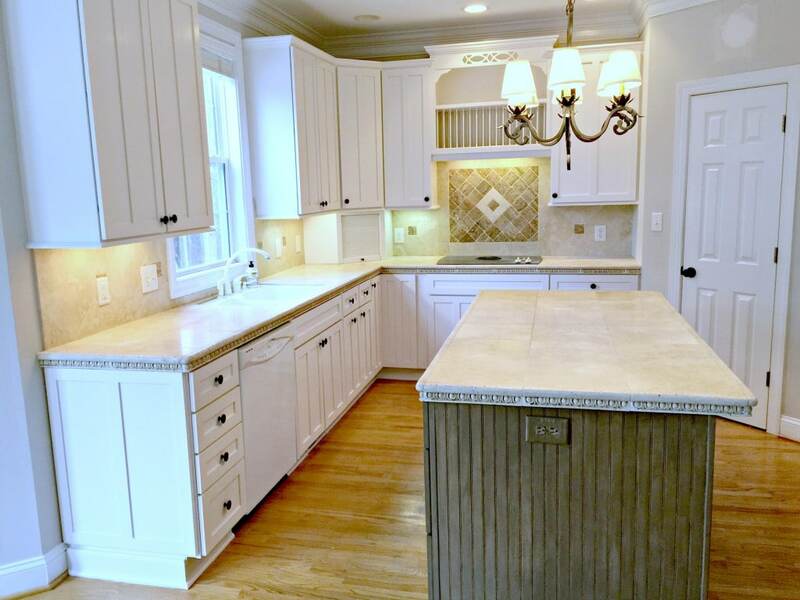 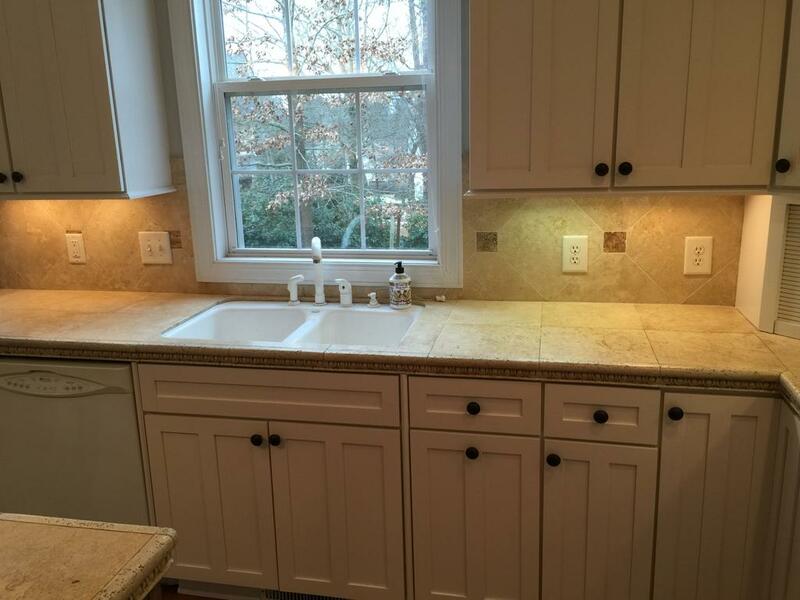 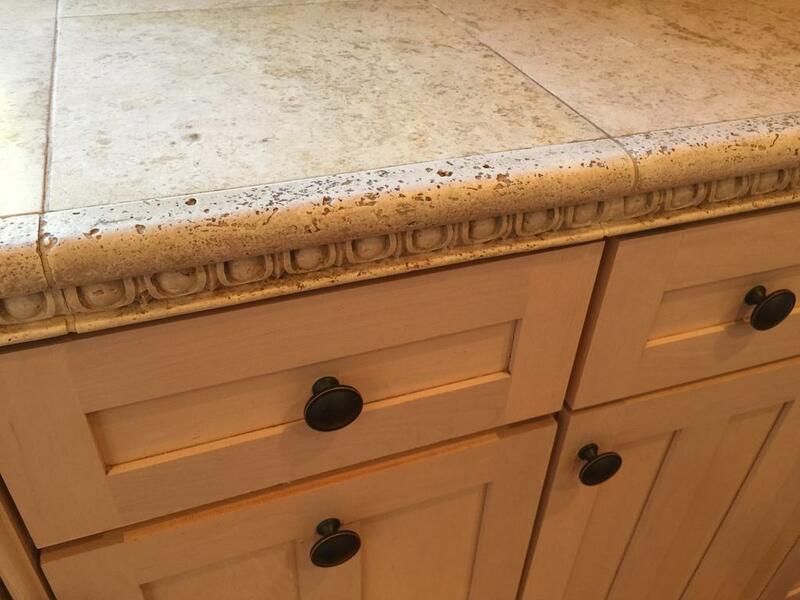 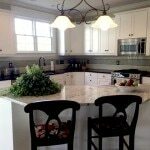 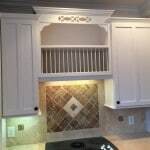 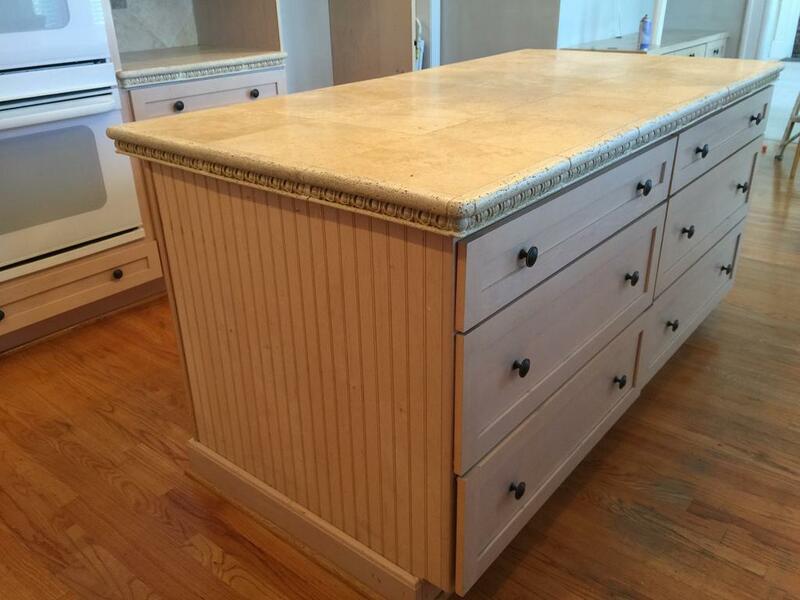 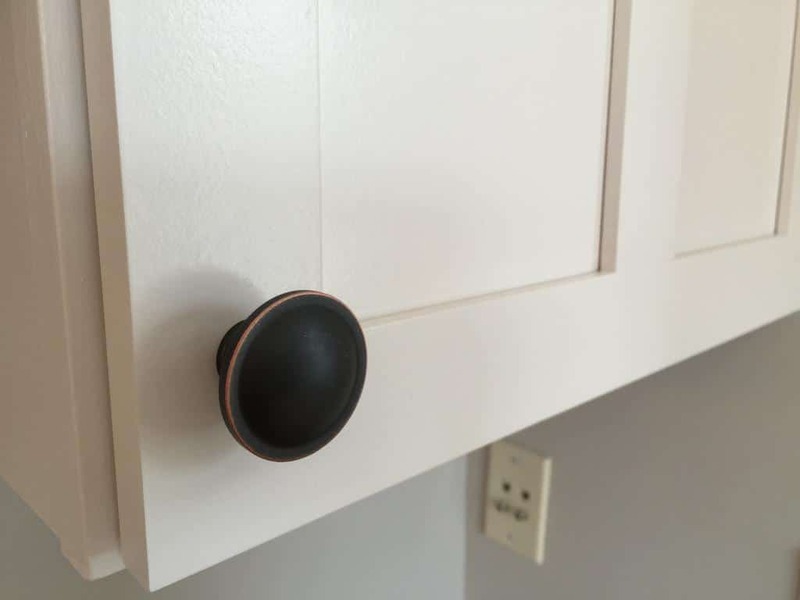 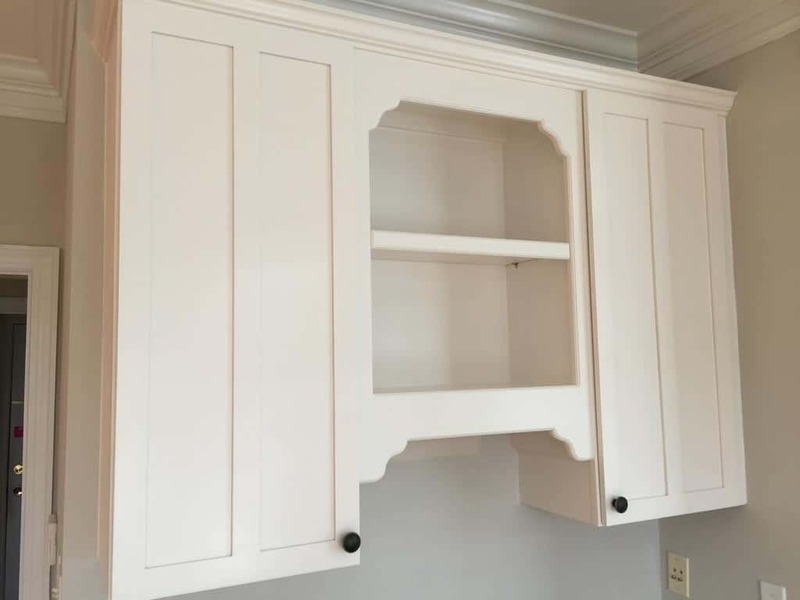 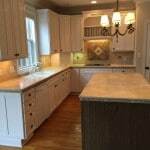 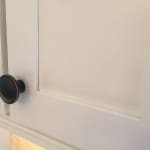 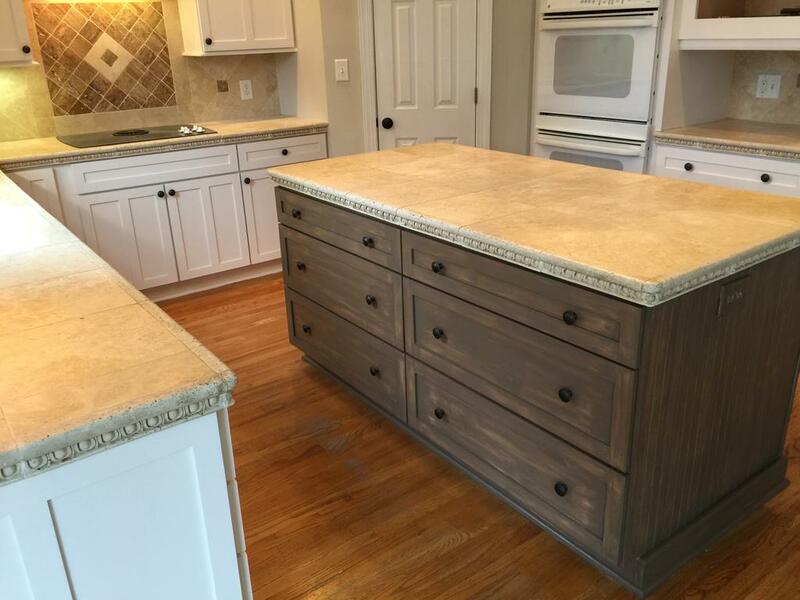 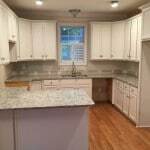 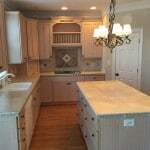 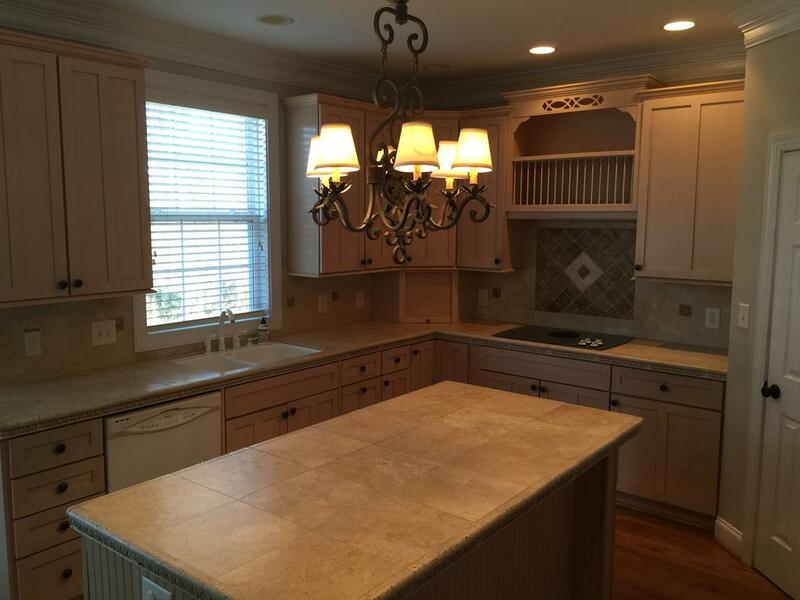 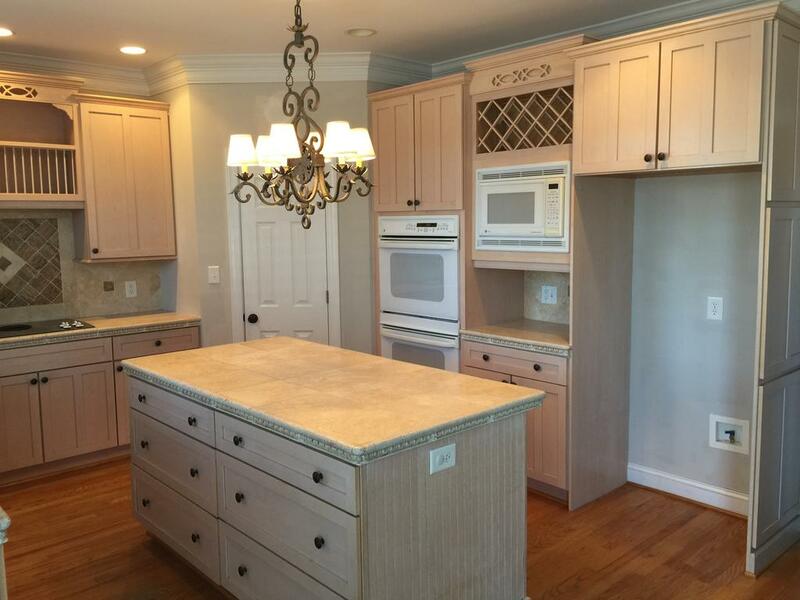 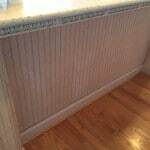 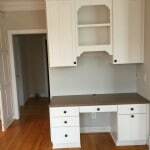 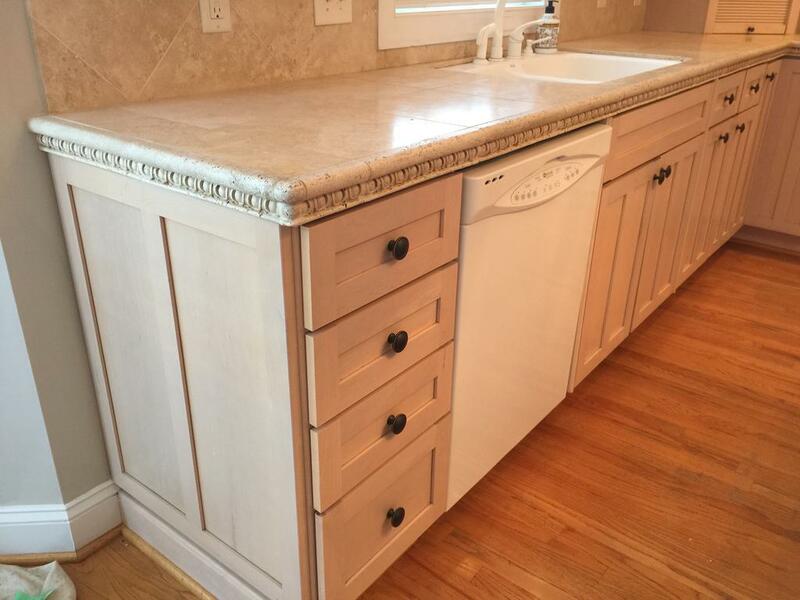 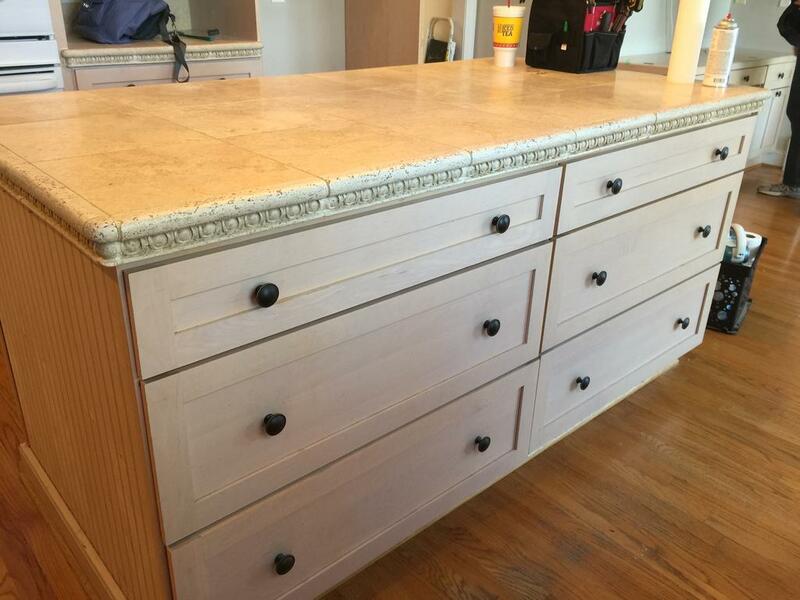 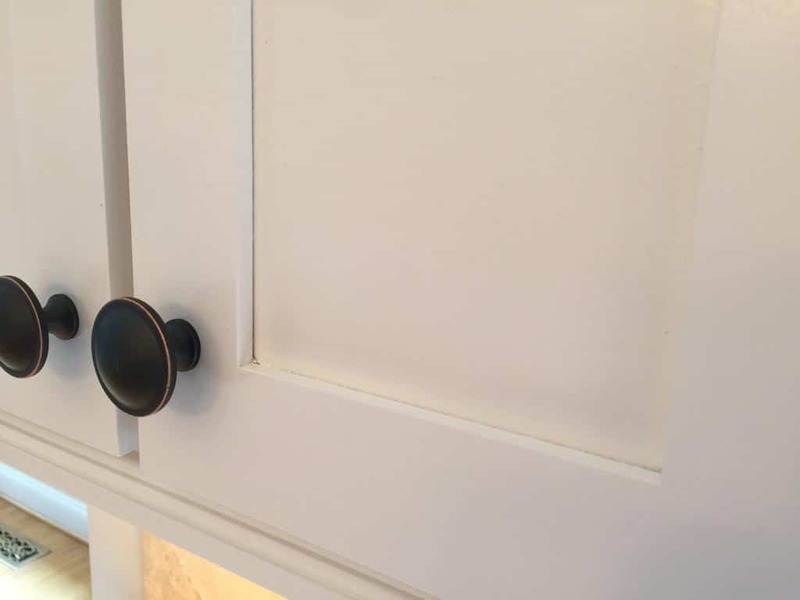 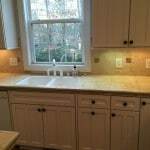 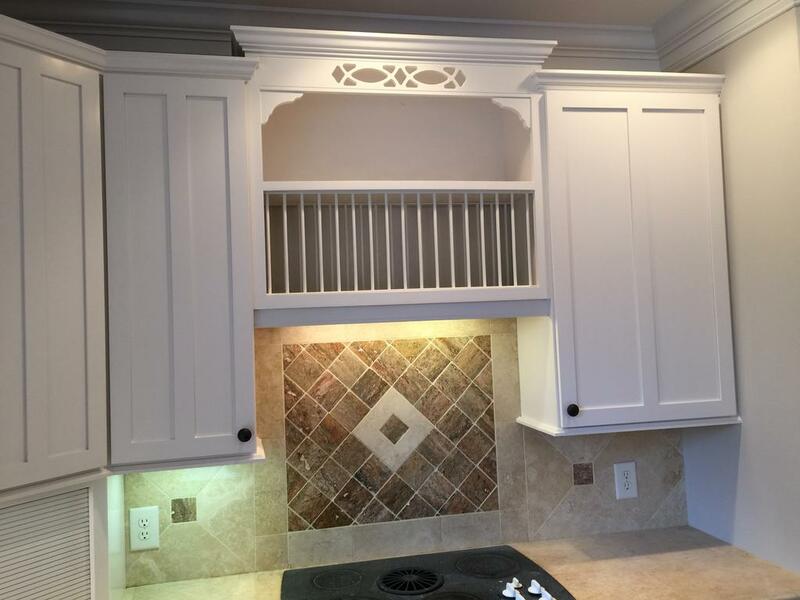 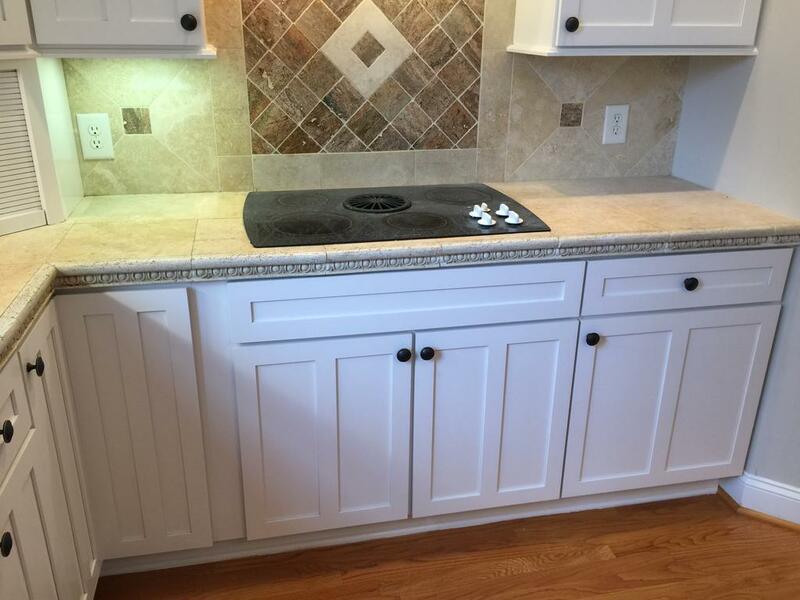 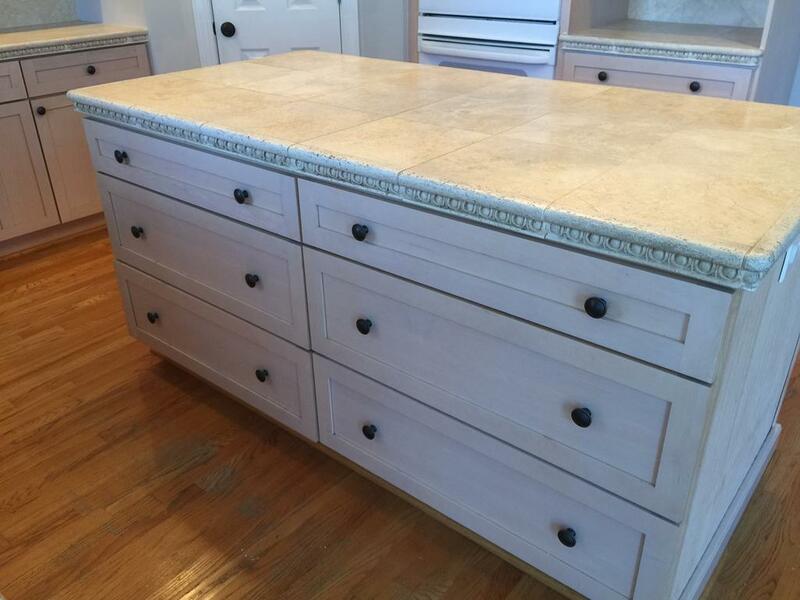 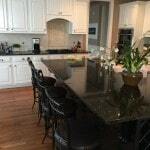 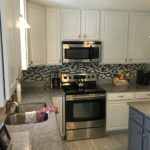 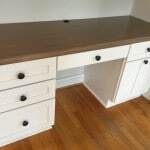 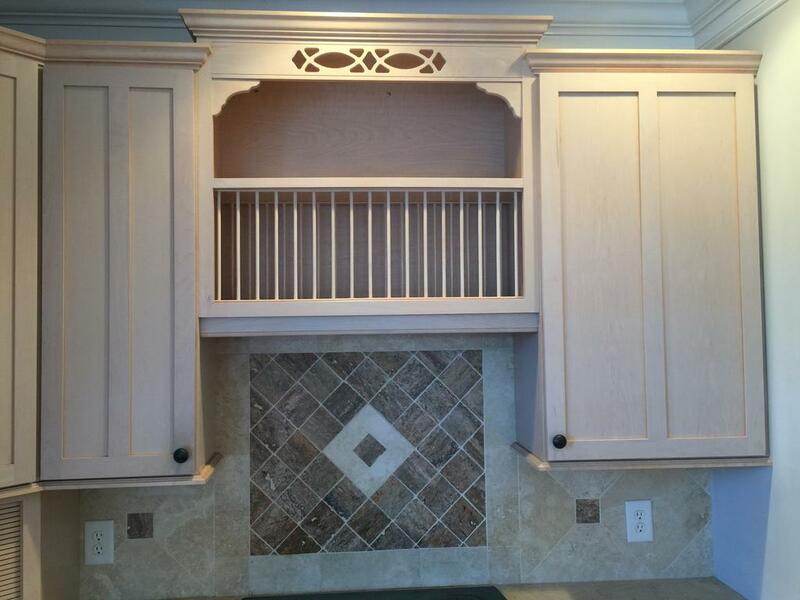 Her solution, to add this gorgeous shade of white, called Marshmallow to the cabinets and then we mixed a custom taupe shade of stain for the island, to match the tiles in the backsplash. 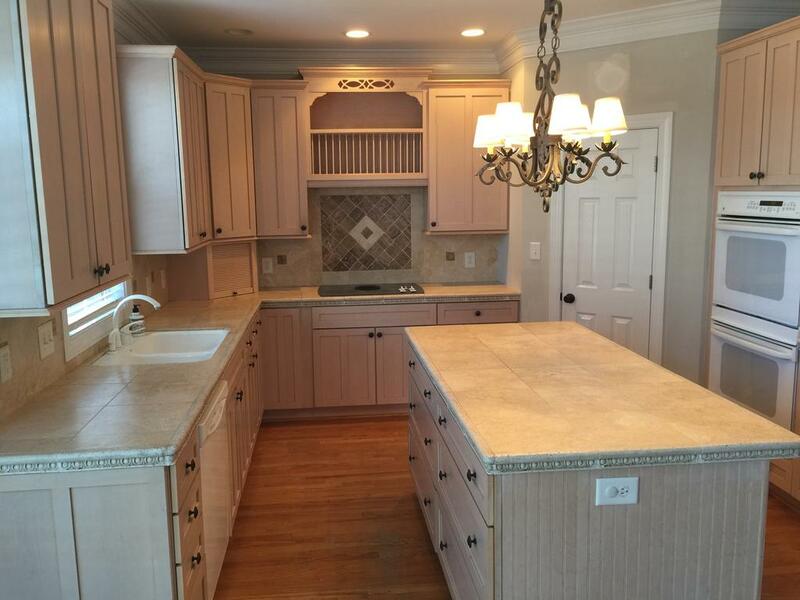 Now this house is sure to sell!